The Allison Webb Spring 2018 Collection Is Bridal Sophistication at Its Best! One of our favorite newly discovered designers is Allison Webb. Her collection is the embodiment of elegance and grace. Filled with exquisite laces, delicate embroideries, and gowns that make a bride feel like herself are just a few reasons to admire the designs. Every collection keeps getting better, with a timeless sense of effortlessness and sophistication with a touch of modern romance. Watch the runway video and view more from the Spring 2018 Bridal Collection! 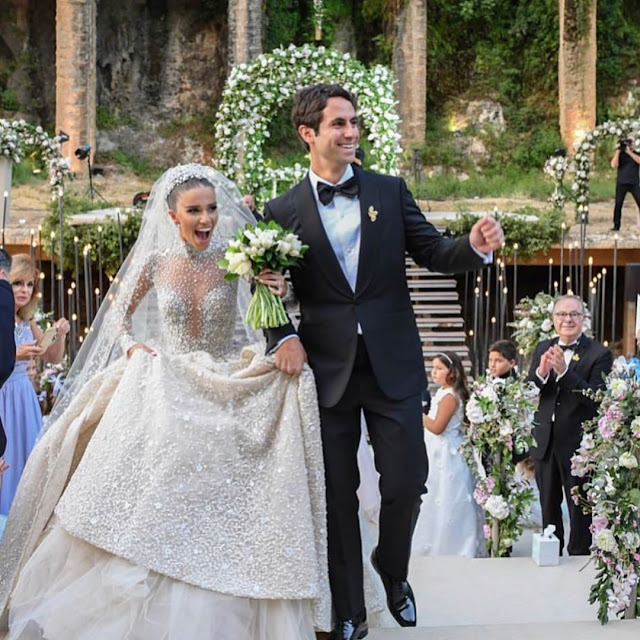 Entertainer Lara Scandar recently tied the knot to her Egyptian husband, Philippe Katchouni at a magical fairytale wedding located in Lebanon’s Chateau Musar. The American-born beauty, who has an Egyptian-Italian father and Lebanese mother, looked like a real-life Disney princess fit for a royal celebration. From the time Lara knew she was going to be a bride, she knew right away who she wanted to design her dress. 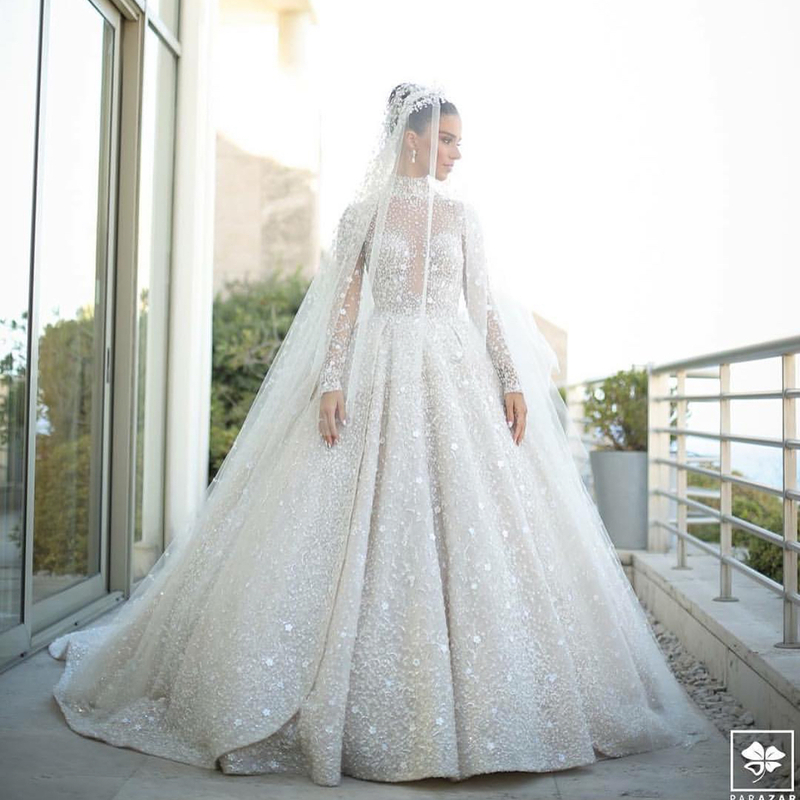 The princess bride chose Zuhair Murad to make her dream wedding dress a reality. Scandar, who was raised in Cairo, previously worked with the Murad, so she felt he already knew which style suited her best. The result was a beautiful beaded and pearl-encrusted gown with discrete florals accompanied with an embellished long veil. 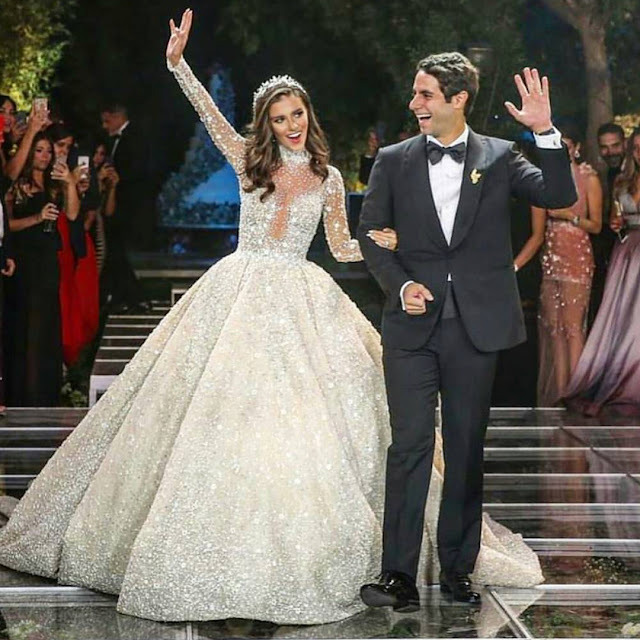 Murad, who was in attendance at the wedding, described her as a “fairtytale bride” on Instagram. Keep scrolling down for more stunning pics!